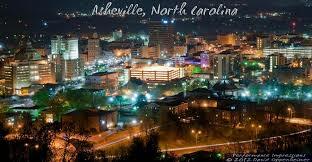 Asheville, North Carolina is a beautiful American city and a premier travel destination. In the last few decades, this thriving city in the East has grown as a popular playground and family vacation destination. 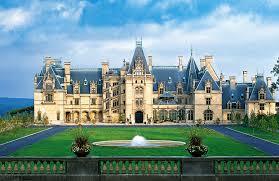 Plan a visit to Asheville, one of the very best American vacation cities. Asheville and the surrounding area is unprecedented for family outdoor recreation and entertainment. It is acclaimed by several travel magazines as one of the best outdoor adventure vacation spots in America. Hiking and biking, whitewater rafting, outdoor tours and visits to some of the highest peaks in the East await Asheville’s visitors. Beautiful vistas, natural water slides and hilly bike trails almost like a roller coaster ride provide great family fun and entertainment. Outdoor adventures around Asheville range from extreme sports to leisurely hikes. Asheville is the base city for exploring Western North Carolina’s refreshing lakes, streams, waterfalls, rivers and swimming holes. Experience challenging white water rapids in a kayak or inner tube or just enjoy a serene swimming hole. You don’t even have to leave your car for adventure in Asheville. 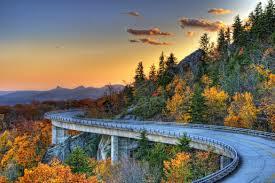 The beautiful Blue Ridge mountains provide travelers with some of the most scenic drives in America. The four distinct seasons that the area experiences affords a variety of scenic drives. Mild winters and cool springs are perfect for long-range views. Blue snow-capped mountains can often be seen from the distance. The best way to enjoy the beauty of the area from a vehicle is by traveling on part of the Blue Ridge Parkway, a 469-mile scenic road that stretches from near the Great Smoky Mountain National Park to Virginia’s Shenandoah Valley. Travelers can access the parkway from via US highway 70. From there it is a short drive to Mount Mitchell and Grandfather Mountain, two areas that offer stunning vistas as well hiking and biking opportunities. The city of Asheville was a popular health resort during the latter part of the 19th century and a vacation destination for the rich and famous by the early 20th century with visitors such as Henry Ford, Thomas Edison and F.Scott Fitzgerald. This laid the foundation for a town steeped in history. Visitors can find history and elegance by touring the 250-room house and gardens at the Biltmore House, former home of George Vanderbilt. Experience the Victorian era at the city’s oldest home, the Smith-McDowell House & Museum. Explore the childhood home of author Thomas Wolfe which served as the inspiration for his famous novel Look Homeward, Angel. Browse the downtown area and admire architecture much of which was constructed by the same builders who built the Biltmore House. The only other southeastern area with more Art Deco architecture than Asheville is Miami Beach. Park Place is a lively part of downtown and is the primary cultural facility in the Pack Square Cultural District. The complex includes the Asheville Art Museum, the YMI Cultural Center, Colburn Earth Science Museum, and the Diana Wortham Theatre. This Asheville landmark hosts conventions, meetings, exhibitions, receptions and special events. Visitors can purchase tickets here for numerous guided tours including walking tours. Asheville Art Museum has an outstanding collection from the 20th and 21st centuries and includes American art as well as cultural and contemporary art of Western North Carolina. The award-winning museum holds more than 3,500 works in all media. The Colburn Earth Science Museum has been an institution in Asheville for over 50 years. They have an extraordinary mineral and gem collection that has won world-wide attention. The museum features minerals and gems from all over the world and exhibits of the state’s rich mining history, gem and mineral resources, meteorology, fossils, plate tectonics and more. An on-site gift shop offers affordable jewelry for sale. The YMI Cultural Center is is a national historic landmark. Commissioned by George Vanderbilt on 1893, the center has been refurbished and houses art galleries and performances of African-American culture. The Diana Wortham Theater is the heart of Asheville’s cultural district. Surrounded by museums, galleries and restaurants, the 500-seat theater has the best in live performances by professional touring groups including drama, opera and ballet. Restaurants in Asheville serve up food for every taste from Mediterranean and vegetarian to old down home-style Southern cooking. Asheville has become a renowned destination for the food enthusiast. Diners can experience simple dishes or unique ones such as sweet potato salad and fresh water trout caviar. 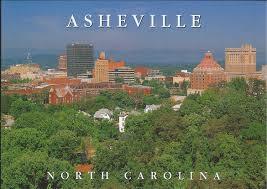 Asheville offers diverse shopping with an eclectic mix of shopping malls, districts and specialty stores. One of the most popular is the block-long Grove Arcade with excellent shopping and dining in an inclusive setting. Other unique shopping can be found at Historic Biltmore Village, a planned community built in the late 1890s. It features elegant boutiques and restaurants. At the end of the day, the visitors will find a vibrant nightlife from wine bars to friendly, neighborhood pubs. The downtown area is especially amusing after dark with the popular drum circle and other street musicians. Local playhouses offer nightly dramas, comedies and musicals. Asheville, North Carolina has been a premier tourist destination for decades.It was a play ground for the rich and famous during the latter part of the 19th century and the beginning of the 20th century. Today it is one of America's favorite places for outdoor family adventures in a scenic setting. What are some popular guided tours in Asheville? The Historic Riverside Cemetery Walking Tour is a serene walk through a rural Victorian garden cemetery. See the final resting place of many local and nationally known personalities such as writers Thomas Wolfe and O’Henry.Hear tales of soldiers, desperadoes and philanthropists. It is located in the Montford Historic District. It operates all year except in inclement weather. The Asheville Hop On & Hop Off Trolley Tour takes tourists on a narrated journey highlighting history, homes and hot-spots. It is available March through December. French Broad River Rafting offers rides on the French Broad River as it winds its way through the Pisgah National Forest. The tour operates during the summer. What is the best nearby town to visit near Asheville? Visit Black Mountain, a charming southern town 15 miles from Asheville. It has unique dining and shopping and quaint bed & breakfast inns in a picturesque setting. What are some winter activities in Asheville? There are two ski resorts nearby, Wolf Ridge and Cataloochee. Tube World in nearby Maggie Valley has winter fun for the entire family.